One of the fun aspects of owning an iPhone is that you can customize the look of parts of it to really make the device your own. 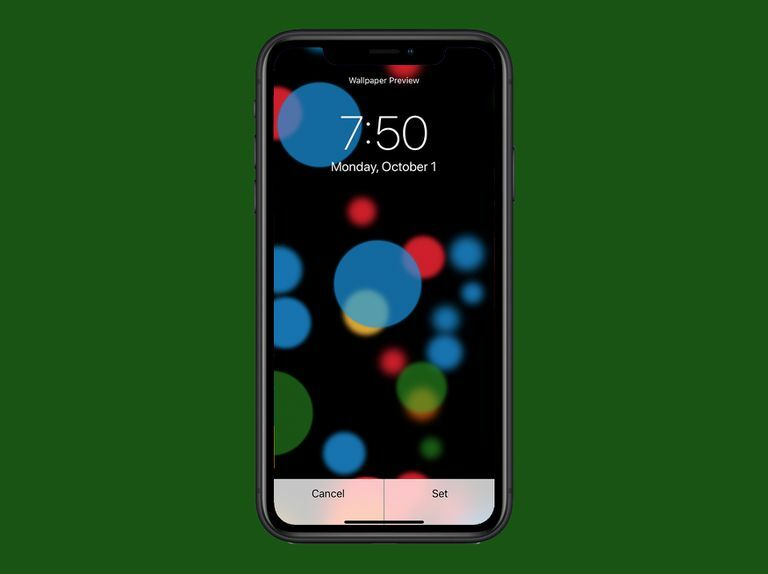 One of the things you can customize is your iPhone wallpaper, which is the background image that appears behind everything else on the phone. The iPhone has two kinds of wallpaper you can change: one is the image you see on your device's home screen behind your apps, and the other is more accurately called the lock screen image, which is what you see when you wake up your iPhone. You can use the same image for both screens, or you can use two different images. Start by locating the image you want to use on your iPhone. You can use a wallpaper that came pre-loaded on the iPhone, any image in your Photos app, or a picture you take with the built-in camera. Go to the iPhone home screen and tap the Settings app. In Settings, tap Wallpaper (in iOS 11 and up) or Display & Wallpaper (in earlier versions of the iOS). Dynamic: These animated wallpapers were introduced in iOS 7. They provide subtle motion and visual interest. Stills: These images are just what they sound like — still images. Live: These are Live Photos, so hard-pressing them plays a short animation. After you find the image you want to use, tap it. If it's a photo, you can move the photo or scale using a finger pinch, which changes how the image appears when it's your wallpaper. (If you choose one of the built-in wallpapers, you can't zoom in or adjust it.) When you have the photo how you want it, tap Set. If you change your mind, tap Cancel. Tap one of the options on the pop-up screen. They are Set Lock Screen, Set Home Screen or Set Both. Tap Cancel if you change your mind. If you set the image as wallpaper for your Home screen, press the Home button, and you'll see it beneath your apps. If you used it for the lock screen, lock your phone and then press a button to wake it up, and you'll see the new wallpaper. Live and Dynamic Wallpapers can add animation to your Home and Lock screens. To learn more about these options, check out How to Use Live Wallpapers on Your iPhone. In addition to these options, there are apps that help you design wallpapers and lock screen images and that change the appearance of the iPhone in other ways. Many of them are free. You can make your own iPhone wallpapers using an image editing or illustration program on your computer. If you do that, sync the image to your phone and then select the wallpaper in the same way you sync any wallpaper.